ELEAGUE's next big endeavor will see eight of the top Gears Esports teams in the world come together to play Gears 5 Versus multiplayer for the first time. ELEAGUE has played host to a number of the top esports titles in the world, showcasing some of the top teams and players across a slew of competitive games. This June will see ELEAGUE approach a new frontier, in more ways than one. The Turner sports-owned esports organization will not only enter the realm of Gears esports for the first time, it'll also premiere never-before-seen gameplay. Gears 5, the fifth game in the Gears of War series, has yet to debut or even get a release date. However, as revealed during Tuesday's Inside Xbox presentation, ELEAGUE will be the first place to see Gears 5 Versus multiplayer. ELEAGUE and Xbox will host a special event, simply dubbed "The Invitational," where eight of the best Gears of War teams will congregate at the ELEAGUE Arena. Here, they'll go hands-on with Gears 5 for the first time and compete to be the top team in the world. Look for the teams and rosters to be revealed in the months ahead, closer to the Invitational dates. Preceding the Invitational will be a six-part special called ELEAGUE Gears Summer Series: The Bonds and Betrayals of Brotherhood. This will follow the Gears Esports scene through the eyes of six of the game's best players. The series will follow the players as they prepare to make the transition to Gears 5, while also offering a unique window into what makes Gears Esports a special place. The first episode is set to debut on TBS on Friday, June 14 at 11PM ET/PT. The Invitational is set to run from July 13-14. It will air live on Twitch, as well as the B/R Live service from Bleacher Report. 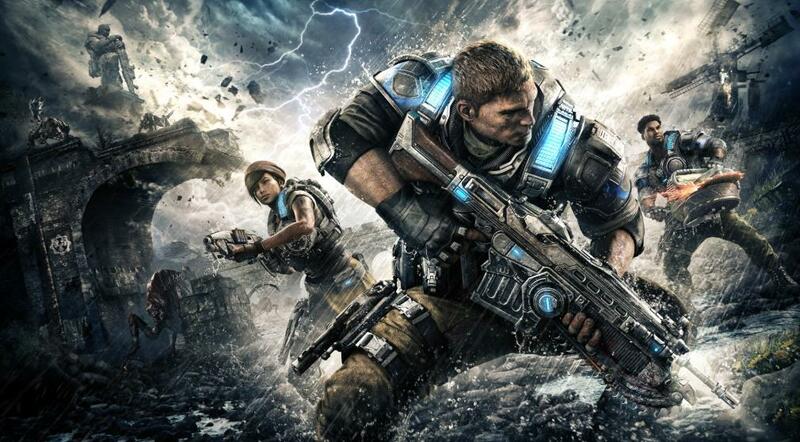 No word on when Gears 5 will release, but look for more news about this game to hit prior to the ELEAGUE event, potentially as early as E3 2019.